Who or what is causing the car to kill? Could it be the CEO of Awooga? Has the car become sentient – and homicidal? Or is an anti-technology cult resisting artificial intelligence and augmented reality behind the violence? 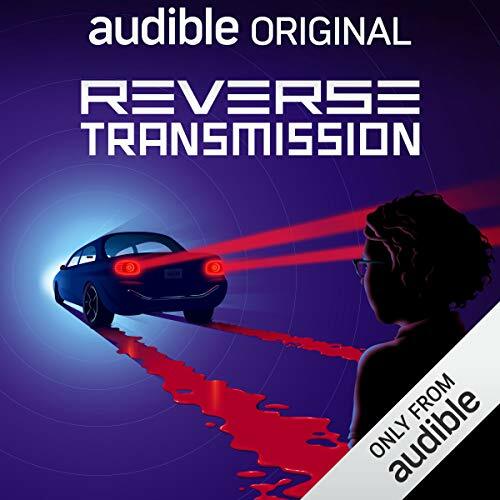 As an Audio Show - free for members - when you add Reverse Transmission to your library, you'll get all 8 episodes, each with a runtime of about 20 minutes. Not a well put together audio book.All over the place and scattered. Not a bad concept. Reverse Transmission doesn't quite do what it says on the tin. Often disjointed and hard to follow, it seems like they just missed the mark a little. All the potential here for a great plot seems to fly out the window. The ending is unsatisfying and left me to wonder if there was a part of the series I didn't download or something. The production value of the series is good, which makes the poor story even more disappointing.